If you’re looking for a short feel-good story, Parnassus on Wheels comes with my humble stamp of approval. It’s the type of book-about-books that makes a book-lover feel like they're half-way between a Harry Potter-style Chosen One and an Evangelist preaching the good word. 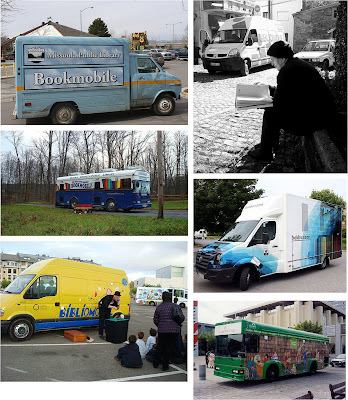 There's really an almost religious respect for the power of books to change lives in Parnassus on Wheels. Published in 1917, this is the story of 39-year-old Helen McGill. She (gladly) gives up her governess job to live with her bachelor brother Andrew on a farm and quickly becomes proficient in all the arts of a country woman, from baking to taking care of chickens. At some point Andrew decides to write a book that unexpectedly become a huge hit and disturbs their placid routine. Helen is happy for him, but little by little she starts resenting Andrew for wandering off in search of new material, leaving her to carry on all the farm work. One day, a funny little man with a caravan approaches the farm while Andrew is out. 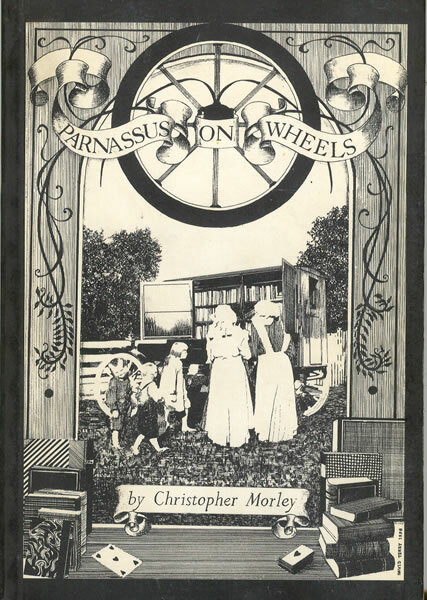 He’s Roger Mifflin ,the owner of a traveling bookshop – Parnassus on Wheels – and comes with a proposal: he’s ready to retire from his wandering life and thinks Andrew is the perfect person to take over his beloved Parnassus. Partly to prevent Andrew from once again leaving her alone, and partly to have her own adventure, Helen decides to buy the Parnassus and take off to make her fortune and spread the gospel of good books. For a few days she’s accompanied by Roger, who teaches her the ropes of the nomad book business. Roger’s enthusiastic speeches about the power of books almost made me hit the road myself. He's able to sell anything and has a knack for knowing what each person will like: from cooking books to poetry, from Louisa May Alcott to Henry James, although his respect for Shakespeare prevents him to sell it to anyone who’s “not ready”. You see, my idea is that the common people — in the country, that is — never have had any chance to get hold of books, and never have had any one to explain what books can mean. It’s all right for college presidents to draw up their five-foot shelves of great literature, and for the publishers to advertise sets of their Linoleum Classics, but what the people need is the good, homely, honest stuff — something that’ll stick to their ribs — make them laugh and tremble and feel sick to think of the littleness of this popcorn ball spinning in space without ever even getting a hot-box! And something that’ll spur ‘em on to keep the hearth well swept and the wood pile split into kindling and the dishes washed and dried and put away. Anyone who can get the country people to read something worth while is doing his nation a real service. You cannot but like Roger, the Book Preacher, and marvel at the effect his work has on his clients (some of whom we meet along the way). Harriet is portrayed in a less flattering light because of her apparent lack of poetic soul, but even she eventually succumbs to the Parnassus’ magic. She discovers a whole world of new possibilities, just when she was ready to resign to her dull life. Since the morning of the day before my whole life had twisted out of its accustomed orbit. I had spent four hundred dollars of my savings; I had sold about thirteen dollars' worth of books; I had precipitated a fight and met a philosopher. Not only that, I was dimly beginning to evolve a new philosophy of my own. In a twist of meta-fictional fate, Parnassus on Wheels is not likely to change anybody’s life, but it’s fun, whimsical, charming and romantic enough to give you some hours of escapism. There is a sequel called “The Hunted Bookshop”, also available on Gutenberg.